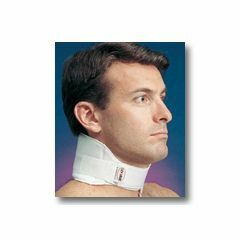 Neck Gel Wrap is designed for applying cold therapy to the neck region in order to relieve tension and pain. Also used for headache relief. Contact closure. Universal sizing. Cold Therapy Gel Wraps aid in reducing post-operative swelling, tissue edema and localized pain. Our cold therapy systems are a cost effective way to control pain and promote an earlier return to full function after surgery or injury. All of our cold therapy systems are available with two reusable non-toxic gel bags which remain pliable after freezing. The foam wraps have a thick, terry cloth liner to aid in patient comfort and prevent chafing.